Swift has quickly become the preferred way to develop apps for Apple devices. Swift is a programming language made by Apple. Apple’s popularity and market-share isn’t going away anytime soon and Swift developers will always be in demand. We’ve looked at some of the best resources to learn Swift programming. Here’s the best Swift books, best Swift tutorials & best Swift courses to learn Swift in 2019.
iOS 12 & Swift – The Complete iOS App Development Bootcamp by Angela Yu will help you learn Swift from scratch. According to the author, this iOS 12 course is the most comprehensive iOS development course online with 50+ hours of Swift programming videos. This Swift 4 bootcamp will teach you how to write Swift 4.2 code to write beautiful iOS 12 apps. You will make use of new Apple iOS 12 Features including ARKit 2 for making Swift Augmented Reality apps and CoreML2 & CreateML for making Swift Machine Learning apps. This Swift 4 video tutorial will teach you to build over 20 Swift apps that make use of Firebase, Core Data, Cocoapods, ARKit 2, CoreML2 & CreateML. Swift Object Oriented Programming (OOP). You will learn type system, variables, functions, methods, inheritance, classes and protocols. Swift Control Structures. You will learn to use If/­Else clauses, Switch statements and logic to control the flow of execution. Swift Data Structures. You will work with collections, such as arrays and dictionaries. Swift Software Design. You will organise and format your Swift code for readability along with implementing the Model ­View­ Controller (MVC) design pattern. Swift Persistent Local Data Storage. You will use Core Data, Realm, Codable and User Defaults to store your app data locally. Swift Machine Learning: You will build your own machine learning models using iOS 12’s new CoreML2 and CreateML frameworks. Swift Augmented Reality. You will create 3D objects and animations in augmented reality using Apple’s latest ARKit2 framework. This is with out question, one of the best Swift tutorials in 2019. This maybe the best Swift tutorial for beginners in 2019. 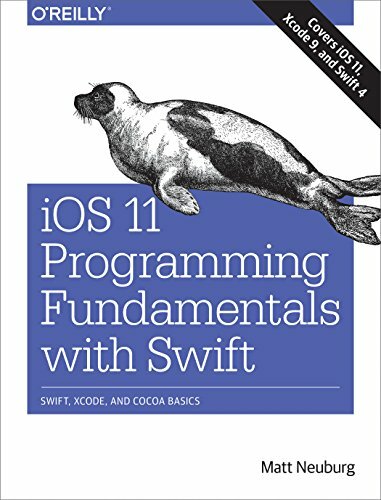 This among the best Swift project based tutorials in 2019.
iOS 11 Programming Fundamentals with Swift: Swift, Xcode, and Cocoa Basics by Matt Neuburg will teach you the fundamentals of Swift programming. Matt Neuburg has been programming since 1968.
iOS 10 Programming Fundamentals is perfect for beginners. This book will get you started on the path to making iOS applications. 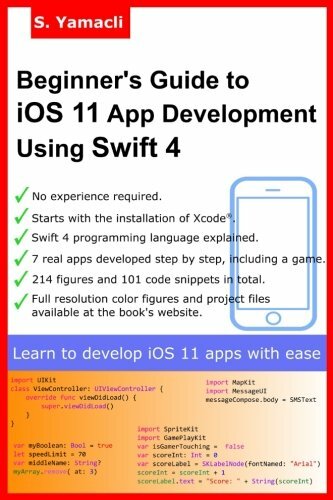 After finishing iOS 11 Programming Fundamentals , you will be ready to tackle more advanced Swift books to fully make an iOS application. 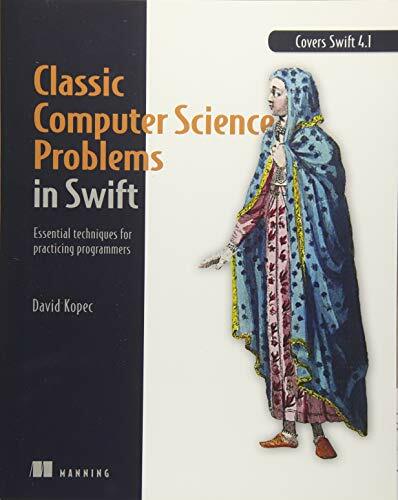 This is one of the best Swift books in 2019. 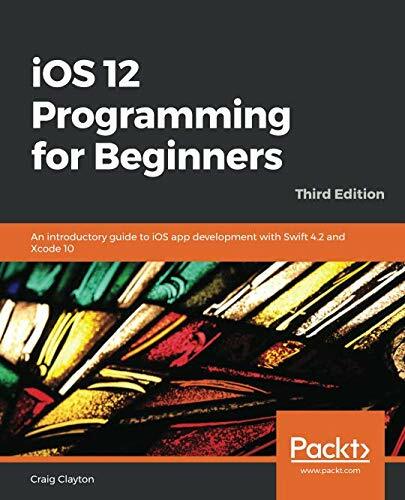 Learning Swift: Building Apps for macOS, iOS, and Beyond by Paris Buttfield-Addison, Jon Manning and Tim Nugent is a practical guide that will teach you how to build iOS applications using Swift. Paris Buttfield-Addison builds games for mobile devices, Jon Manning is an iOS development trainer and writer and Tim Nugent is a mobile app developer. Learning Swift: Building Apps for macOS, iOS, and Beyond will teach you everything you need to write an iOS app using Swift. All of the features and syntax of Swift is explored. Not only that, Cocoa, CocoaTouch, and WatchKit frameworks are also briefly touched upon. Learning Swift is split into 4 parts: 1) Basics, 2) OS X app development, 3) iOS app development and 4) Advanced app extensions. Each of the sections builds on the previous and gets more complex. By building the three applications from Learning Swift, you will learn everything required to build your own Swift apps. 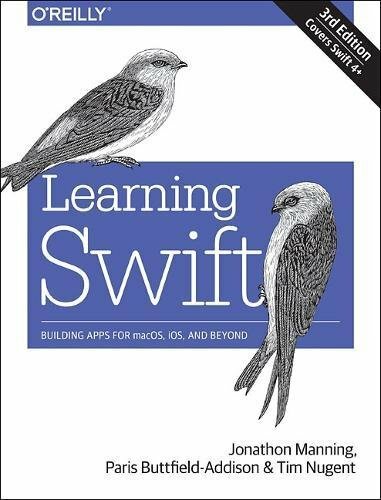 Learning Swift: Building Apps for macOS, iOS, and Beyond is a good book for beginners to learn Swift. With a particular focus on Swift design patterns, you will structure your applications properly. 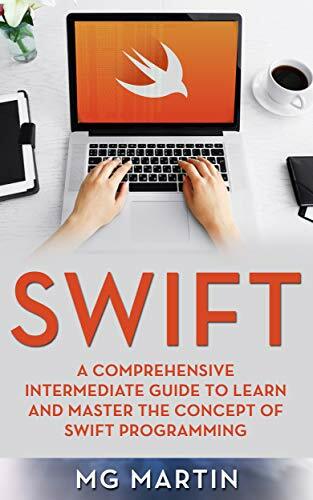 This is one of the best Swift books for beginners in 2019. Mastering Swift 3 by Jon Hoffman will teach you all the advanced techniques you need to master Swift 3. Jon Hoffman has over 20 years of experience in the field of Information Technology. Mastering Swift 3 will take you on a deep dive of the core building blocks of Swift 3. Components such as operators, control flow, and functions, etc are all touched upon. Mastering Swift 3 primarily focuses on advanced design patterns and techniques to help you write better and more efficient Swift code. An in-depth look is taken on the more complex side of Swift programming. Features such as protocol extensions, error-handling, and concurrency, are looked at. Every step of the way, you will learn how to use all this concepts and features. All the while writing cleaner and more efficient code. 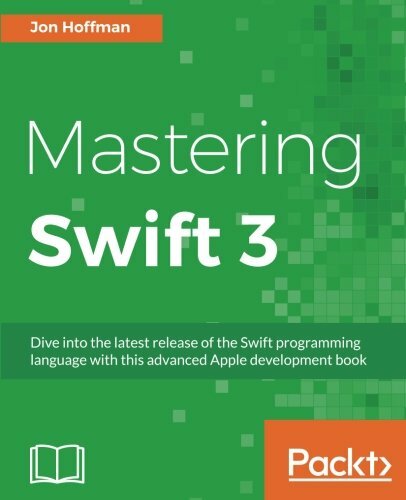 Mastering Swift 3 is one of the top Swift books and is great for developers of all skill levels. Regardless of whether you are a beginner or advanced developer, you will find value in this book. Upon completion of Mastering Swift 3, you will be writing better iOS and OSX applications that are more sophisticated and complex. 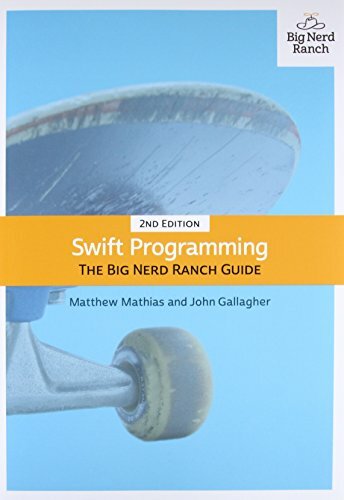 Swift Programming: The Big Nerd Ranch Guide by Matthew Mathias and John Gallagher will give you the knowledge and confidence to develop apps using Swift. You will develop a great understanding of Apple Swift programming. 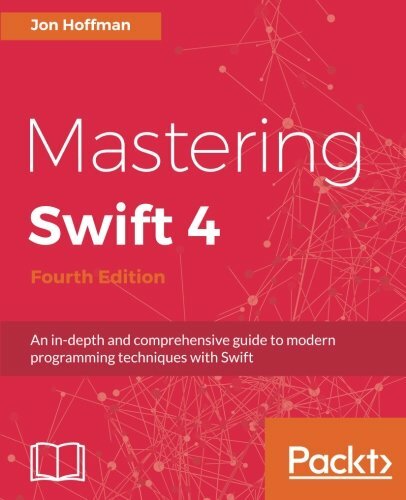 No prior knowledge of Swift is needed, making this one of the best Swift books for beginners. The books teaches Swift in-depth and why you should code in Swift while navigating Xcode 8. Written for Swift 3, this Swift programming book is up top date with the latest changes in Swift. Filled with Swift examples, you will learn how Swift grammar and Swift syntax works. 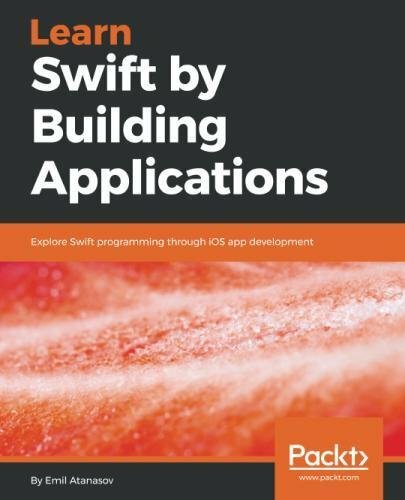 By the time you finish this book, you will write your own Swift applications from scratch. Swift Programming: The Big Nerd Ranch Guide is written in a style easy for beginner Swift developers to understand. 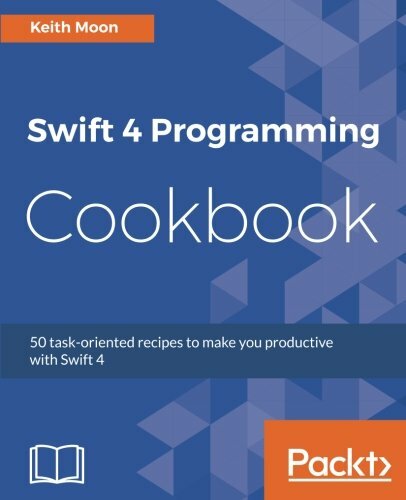 Swift Programming is on of the best books for learning how to code using Swift. This Swift book will teach you to get started with Swift from scratch.